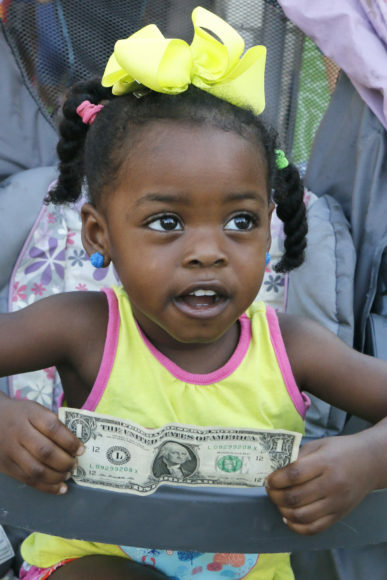 dollar day | Dallas ZooHoo! GET HERE EARLY. Parking lots open at 7 a.m. and gates at 9 a.m., but lines will begin forming at the entrances well before that. TAKE THE DART RED LINE RIGHT TO OUR DOOR. Parking is limited, and with the attendance we expect on Dollar Day, public transportation is such a great alternative to driving personal vehicles. COME WITH A PLAN. Take a look at a map of the Zoo before you come and figure out your plan for the day. Consider which half of the Zoo you want to visit first: Wilds of Africa (hippos, giraffes, elephants, lions, Gorilla Trail) or ZooNorth (Children’s Zoo, reptiles, tiger, monkeys, etc.). Also consider which keeper chats you want to attend and which Wonders of the Wild show you want to catch. At 11 a.m., 1 p.m., 3 p.m., and 4 p.m., you can experience our interactive 20-minute wildlife show in ZooNorth. PREPARE FOR THE WEATHER. The forecast calls for sun, with temps over 100 degrees. Don’t forget to bring your sunscreen and to stay hydrated throughout the day! PACK YOUR PATIENCE. The Zoo is going to be crowded. This day is always one of our busiest. Please be patient if you encounter lines and please be nice to your fellow visitors. SPEAK UP IF YOU NEED HELP. If you have a question, problem, or just need directions, please find a uniformed staffer and ask for help. We’re here to make sure you have the best experience! If you get hungry during your Zooventure, not to worry. We have $2 hot dogs, chips, and sodas, and $1 canned water available for purchase. Sponsored by Oncor, MetroPCS, and Children’s Health, Dollar Day is going to be a busy day full of fun. Can’t wait to see you there! Tips for making the most of Dollar Day! 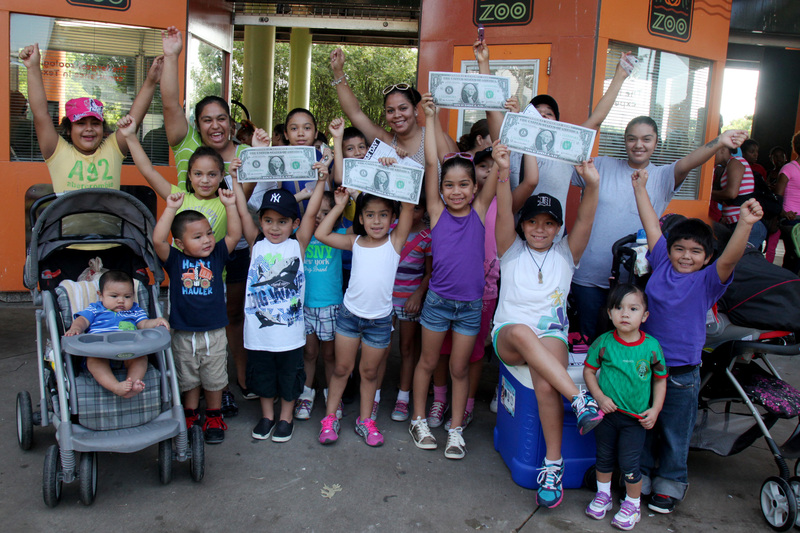 Our annual summer Dollar Day is always one of the most exciting days at the Dallas Zoo. But most importantly, it’s our way of giving back and saying “thank you” to this amazing community that supports us year-round. 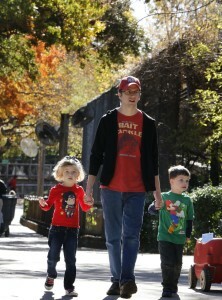 Dollar Day draws big crowds, so we wanted to share the few tips to help you get the most out of your visit to the Zoo! TAKE THE DART RED LINE RIGHT TO OUR DOOR. Parking is limited, and with the attendance we expect on Dollar Day, public transportation is so convenient. COME WITH A PLAN. Take a look at a map of the Zoo before you come and figure out your plan for the day. Consider which half of the Zoo you want to visit first: Wilds of Africa (hippos, giraffes, elephants, lions, Gorilla Trail) or ZooNorth (Children’s Zoo, reptiles, tiger, monkeys, Australia animals, etc.). PREPARE FOR THE WEATHER. The forecast calls for sun, with temps near 100 degrees. Don’t forget to slather on the sunscreen and stay hydrated throughout the day! CHECK THE DAY’S SCHEDULE OF EVENTS LOCATED NEAR EACH ENTRANCE. These schedules for the day will help you plan your adventure and ensure you don’t miss out on a keeper chat about your favorite animal! ALSO – BABIES! This is a great chance to see our lion cub Bahati or giraffe calf Tsavo, plus all the chicks that have hatched this year, including our penguin and flamingo babies! PACK YOUR PATIENCE. The Zoo is going to be crowded. It’s just a fact. Be patient if you encounter lines and be nice to your fellow visitors. Don’t forget, we’ll have $1 snacks available for purchase, including hot dogs, chips and drinks. 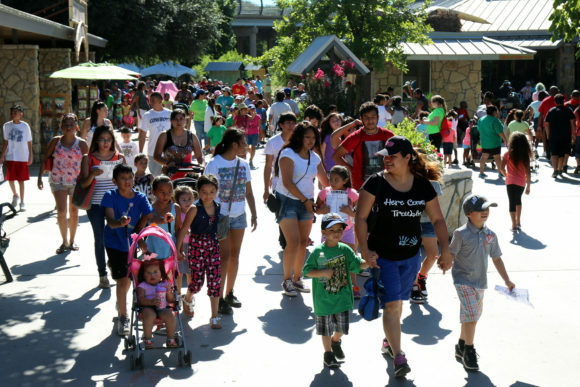 Sponsored by Oncor, MetroPCS, and Children’s Health, Dollar Day is going to be a busy Thursday full of excitement, and we can’t wait to see you! 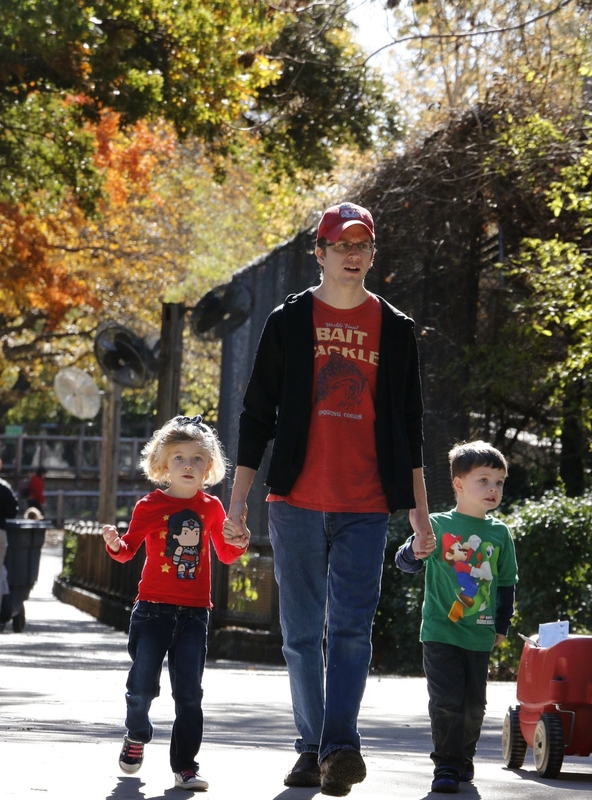 Dollar Day at the Dallas Zoo is our way of giving back to our amazing community, and we want you to get the most out of your visit! Here are a few tips to help you navigate your way through Dollar Day. Get here early. We open at 9 a.m., but the lines form well before that. Parking is limited! A great option is to take the DART Red Line right to our door. Check the schedule as soon as you arrive – we’ve added shows, and you can plan your day around the ones you don’t want to miss (Cheetah Encounter, SOAR bird show, keeper talks). Decide which half of the zoo you want to visit first: Wilds of Africa (lions, giraffes, elephants, zebras, Gorilla Trail), or ZooNorth (Children’s Zoo, reptiles, koalas, tiger, monkeys). Don’t miss our babies in the Wilds of Africa: giraffe, mandrill, chimp! Giraffe Kopano is scheduled to be in the North habitat Wednesday from 11 a.m. to 1 p.m., although it always depends on many factors. Be nice! It’s going to be a beautiful day, and we’re all lucky to be able to spend it at one of the nation’s best zoos! Please be patient in lines and with your fellow guests, and share window space. If you have a problem or question, please find a uniformed staffer and ask for help. We’ve staffed up to be sure you have a great time! It’ll be sunny and 65 degrees Wednesday, so we expect big crowds and lots of excitement. We can’t wait to spend the day before Thanksgiving with you and your family!